3D printing in the Philippines. 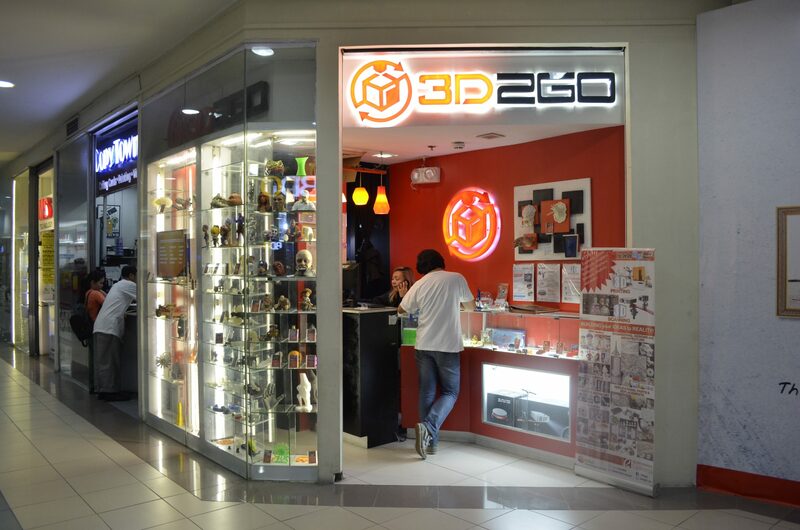 3D2Go is the only one-stop shop for everything 3D printing in the Philippines. We offer end-to-end full-service scanning, prototyping and printing with a streamlined process that guarantees a top quality end product. No other company in the country offers the same function. When it comes to 3D printing solutions, 3D2Go is the top of mind provider sought by small, medium and large scale businesses across many different industries. Our company aims to spread the benefits and other possible applications of the 3D printing technology by offering end-to-end 3D services to the Philippine market. Philippine market. We have the unique capacity to accept customized requirements from any customer. You can rest assured that we only use quality materials and sophisticated equipment to produce the most awesome 3D models possible. 3D2Go's services are for everyone. From students to professionals, hobbyists to entrepreneurs, our clients love the advantage of our unique ability to accept customized requirements that we produce end to end. We have catered to small, medium and large scale business from many different industries and we only work using high quality materials and sophisticated equipment to produce the most awesome 3D print models. Entrust any three-dimensional (3D) printing project to the experts at 3D2Go Philippines. We are a full-service scanning, refining, and prototyping company with a streamlined process that guarantees a top-quality end-product. Before 3D2Go, anyone who needs 3D scanning, modeling, or printing work would spend days just looking for the right service provider. Besides a few home businesses and enthusiasts, there was no way for Filipinos to get a 3D representation of their ideas—until 3D2Go came along. We have created a franchise model of a 3D printing house with a web presence to match. Now, there is a company that provides Filipinos with anything 3D. Since our inception in 2013, we have been adding printers, 3D artists, and IT support staff to ensure the highest level of 3D services in the Philippines. We proudly say that our client catalog is bigger than that of similar companies abroad. My3D Concepts was established in September 2013, the year 3D printing technology was creating a big noise internationally, particularly in the UK and the US. Its founder attended the 2013 3D printing expo in New York City and studied the potentials of additive manufacturing and its possible applications. When he came back to the Philippines, he built a studio and gathered a team of 3D artists and researchers, along with a few standard 3D equipment. It took months of thorough research, actual applications, dry runs on 3D scanning, printing, and modeling before My3D Concepts launched 3D2Go Philippines. We Love collaboration as much as you do.